Please note that the above slideshow is automatically created by searching Flickr and does not contain manually curated images. 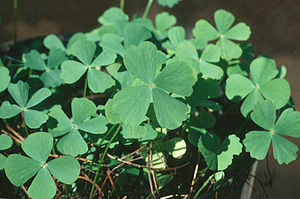 Hence, it is likely that some images may not be exactly of Marsilea brachycarpa. The plant is highly variable. It appears cushion-like on dry lans, but in water is spreading and creeping. Internodes 0.5-20cm long. Petioles 2-8cm long on land and upto 25 cm or more in water. Leaflets a maximum of 2.5 cm. Sporocarp stalks simple, numerous, arising one above the other near base of leaf stalk. These sporocarps are usually crowded and in groups of 2-3. The only difference with M. minuta is that the sporocarps are ribbed , whereas in latter they are not. 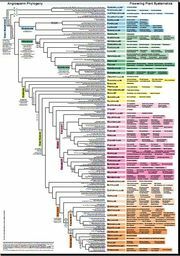 "The plant is highly variable. It appears cushion-like on dry lans, but in water is spreading and creeping. Internodes 0.5-20cm long. Petioles 2-8cm long on land and upto 25 cm or more in water. Leaflets a maximum of 2.5 cm. Sporocarp stalks simple, numerous, arising one above the other near base of leaf stalk. These sporocarps are usually crowded and in groups of 2-3. The only difference with M. minuta is that the sporocarps are ribbed , whereas in latter they are not." cannot be used as a page name in this wiki. This page was last modified on 6 September 2010, at 08:39.